For two months now he has been snuffling around the house, collecting everything that resembles hedgehog food: plastic vegetables, toy insects, green LEGOs, etc. He carries it back to a cozy hedgehog den he has built out of blankets and chairs. When called to clean up, he rolls into a ball and squeaks. He questions if his dinner is hedgehog food or not. Our response? Of course it is! 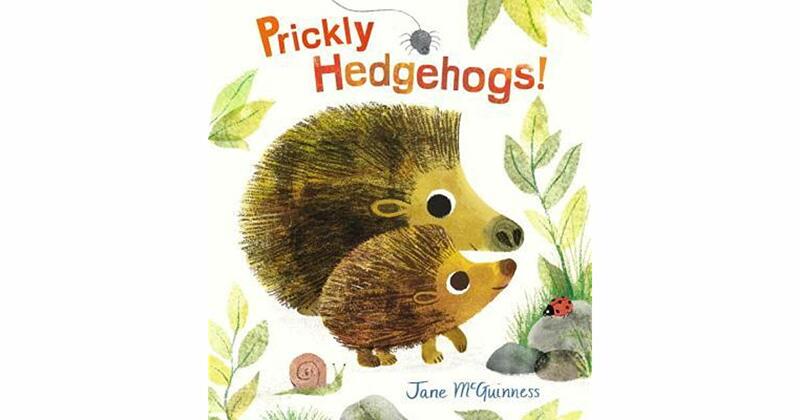 According to Jane, hedgehogs love vegetables. The game he gravitates to most in his hedgehog state is that of baby hedgehog. In this game, he alternates between snuggling with me, the daddy hedgehog, and getting out of his hedgehog den in the middle of the night. Our children have gone through a variety of imaginative phases like this where they pretend to be something or someone else. Research has proven that pretend play like this encourages language development, creativity, curiosity, and empathy. Notably, he’s also developing “theory of mind” — an understanding that other people think differently than he does. My son is following Atticus Finch’s advice to Scout, trying on a hedgehog skin and walking around in it for a while. As parents with a deep love for the arts and creative play, it’s important to us that we don’t stifle the imagination at work in our prickly four-year-old. But two months in we’ve found ourselves growing weary of being corrected on his name (“No, Daddy, I’m not Kai, I’m a hedgehog,”) and having difficulty discerning between a hedgehog squeal and an actual cry of pain. Supporting imaginative play, it seems, has its sacrifices. As with many parenting moments, imagination as empathy steers me back from the brink of frustration toward a growing wonder at God’s design. Kai is our second child of four, and he places a very high value on interaction and physical affection. We’ve recently had to spend much more time with our last two; our toddler is potty-training and our baby is, well, a baby. When he imagines himself as a baby hedgehog, there’s no problem with crawling around on the floor or making squeaky baby noises. His imagination is helping him process his growth and what he is leaving behind. It is helping him understand his world and pulling him out of himself so he can see things more clearly. Because he’s pretending to be a hedgehog baby, he can do this without too many consequences (although we’ve had some stern discussions about prickling people). Understanding this is helping me as a parent to meet his needs. In the rare moments of little boyness, he talks a lot about how big he’s getting and all the things he’s learning. He’s not avoiding his growth. But he still needs loving attention, focused quality time, and lots and lots of cuddles. I know the importance of these things, but the busyness of parental life sometimes tends to make them hard to achieve. Thankfully, God gave our kids imagination to encounter their changing worlds. He also gave us as parents the “Age of the Hedgehog,” out of the knowledge that we get caught up in duty and distraction. Instead of ignoring or neutralizing Kai’s play, I can have the joy of participating in it with open eyes and open heart, ready to apply love to exploration. So until this age transitions into the next, we’re grateful for this God-given window into our little guy’s thoughts. And we’re grateful that Kai has eaten more vegetables in the last two months than he has in the last four years of his life. Chris Wheeler scribbles things about faith, art, and fatherhood (and everything in between). He is dad to four kids six and under, and husband to the Most Patient Woman on the Planet. When not writing stories or wrangling children, he enjoys discovering new music and hanging out with friends over coffee. Chris writes regularly at his blog, https://chriswheelerwrites.com/, and posts all sorts of semi-interesting stuff on Instagram and Facebook.